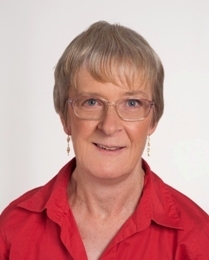 Diana is an experienced counsellor with a substantial professional background in psychology. She is a member of the Australian Counselling Association, and the Australian Society for Hypnosis. Her 15 years spent counselling clients of diverse backgrounds led her to develop a step-by-step process of personal development, culminating in the publication of a book. Diana specialises in working with adult individuals and couples. Counselling with Diana offers clients the support and tools they need to shape positive outcomes for themselves. Her counselling approach encourages self-awareness, which increases each client’s capacity to deal with difficult issues in a life-enhancing way. By looking at the past and discovering patterns and issues, the present can be healed and life may be lived in a more conscious way. Diana is a sensitive and expert listener – she helps her clients to discover the best way to deal with their concerns. Diana incorporates a number of evidence-based therapeutic approaches into her counselling practice, including Cognitive-Behavioural Therapy, and Solution-Focused Therapy. Diana’s counselling methods allow clients to find their own way to outcomes that lead to greater control, improved problem solving, and better decision-making. With a deeper understanding of their life situation, Diana’s clients leave counselling with a sense of clarity and the confidence to make positive life changes.